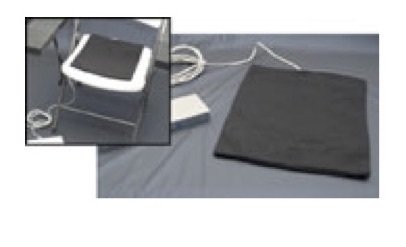 The Polygraph detects physiological changes in the body due to a psychological stimuli. When humans feel or sense danger, the autonomous nervous system, also called the sympathetic nervous system sets our body in a stage called fight, flight or freeze. This stage is a natural occurance that cannot be controlled by human beings, no matter how me may appear or try. 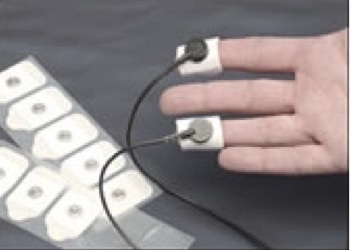 This stage triggers the human body to undergo slight changes that can be measured by polygraph channels. These readings are then confirmed by repeating the same test and observing the results. During the Pre-Test Interview, the examiner explains how the polygraph works, discuss the issue in-depth that is under investigation, develop and review all questions that will be asked on the Polygraph Exam. This stage is known to be the longest to complete and is among the most crucial components of the polygraph exam because the examinee must take a position; to lie or be truthful. Pneumographs measure the respiratory function. Two pneumographs (rubber tubes filled with air) are placed around the test subject’s chest and abdomen. When the chest or abdominal muscles expand, the air inside the tubes is displaced. In an analog polygraph, the displaced air acts on a bellows, an accordion-like device that contracts when the tubes expand. This bellows is attached to a mechanical arm, which is connected to an ink-filled pen that makes marks on the scrolling paper when the subject takes a breath. 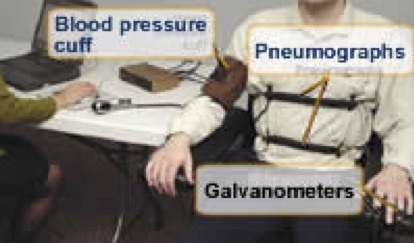 A digital polygraph also uses the pneumographs, but employs transducers to convert the energy of the displaced air into electronic signals. A blood-pressure cuff is placed around the subject’s upper arm. Tubing runs from the cuff to the polygraph. 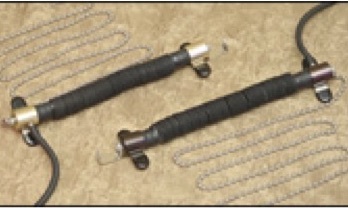 As blood pumps through the arm it makes sound; the changes in pressure caused by the sound displace the air in the tubes, which are connected to a bellows, which moves the pen. Again, in digital polygraphs, these signals are converted into electrical signals by transducers. Fingerplates called galvanometers (GSR) are attached to two of the subject’s fingers. These plates measure the skin’s ability to conduct electricity. When the skin is hydrated (as with sweat), it conducts electricity much more easily than when it is dry. 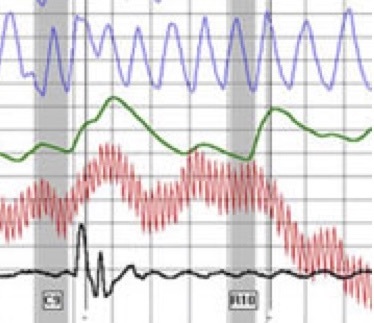 All the information gathered from the pnuemographs, the cuff and the GSR feed into the polygraph, on to a computer screen and finally on to a set of charts for the examiner to render a professional opinion. 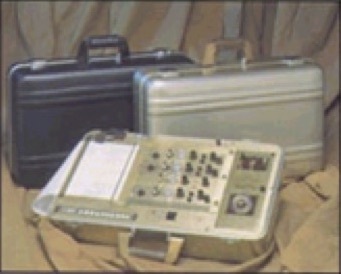 During this phase, the subject will be attached to the polygraph. The question set which was developed during the Pre-Test Interview and reviewed with the examinee will be asked to the examinee 2 to 4 times. There will be between 20 and 45 seconds in between each question in order to get a precise reading of the stimulus. Once the examiner has collected the charts, he/she will carefully analyze the polygrams. The examiner then renders an opinion and those polygrams are additionaly reviewed by another examiner as part of The Polygraph Guy Quality Control Program. Only after a stringent evaluation and review process is a final decision rendered. At a minimum, test results are given to the examinee in this stage of the Polygraph Examination. It is also conducted to address any additional questions the examiner or examinee may have and give the examinee the opportunity to explain why they feel they had the final result. The findings and results of the polygraph examination is then summarized in a final report that includes the relevant questions asked during the polygraph examination as well as the polygraph examiner’s professional opinion. 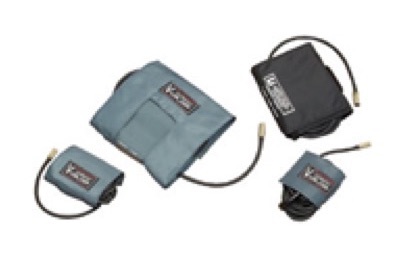 There are a few polygraph instrument providers in the market and most of them are american made. The Polygraph Guy uses a variety of polygraph instruments from different manufacturers to ensure that we are technically savy to address our client’s needs. All instruments have proven to be reliable and The Polygraph Guy has been able to depend on professional service after the sale as well as a reliable instrument. Although each Polygraph Examiner maintains their own instrument, it is the policy of The Polygraph Guy that its Polygraph Examiners remain versitile and flexible and must be fluent with every instrument in our inventory. 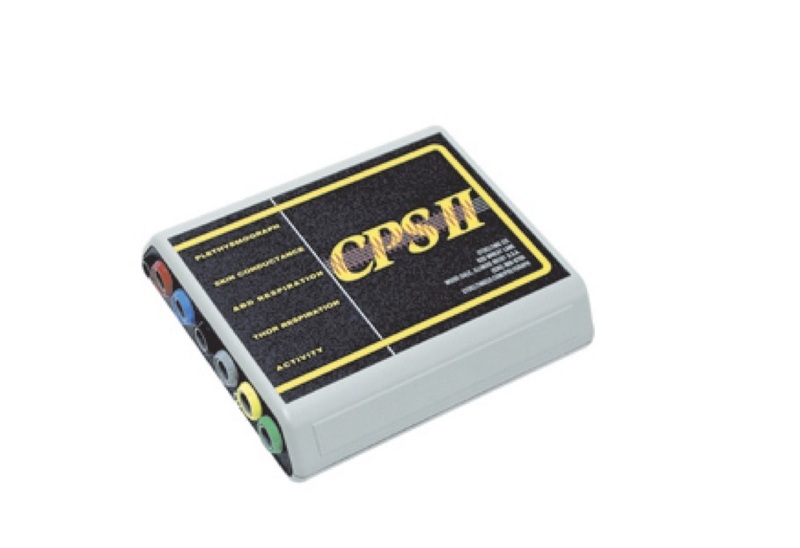 The Polygraph Guy primarily utilizes digital polygraph instruments for our Polygraph Exams, also referred to as CPS (Computer Polygraph System). We can however, utilize any instrument young or old that has been produced within te last 30 years. 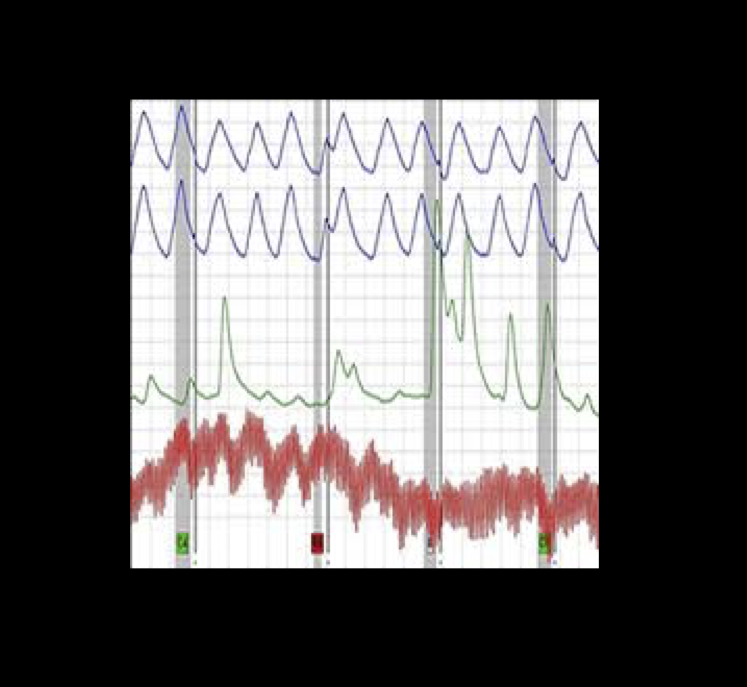 Explaining reliability and validity of polygraph examinations is not a simple task, since many circumstances must be taken into account to conduct proper polygraph examinations. One can only explain reliability and validity under the assumption that all the correct steps have been taken to maximize the reliability of the polygraph examination. A valid examination requires a combination of the properly trained examiner, a polygraph instrument that records as a minimum cardiovascular, respiratory, and electrodermal activity, and the proper administration of an accepted testing procedure and scoring system. A multitude of studies have been conducted to discover the reliability of a polygraph examination. The consensus is in the fact that reliability is measured by the final verdict, meaning that if different polygraph examiners score the same charts they shoud arrive to the same result: Deceptive, Not Deceptive or Inconclusive. The American Polygraph Association has a compendium of research studies available on the validity and reliability of polygraph testing. The 80 research projects listed, published since 1980, involved 6,380 polygraph examinations or sets of charts from examinations. Researchers conducted 12 studies of the validity of field examinations, following 2, 174 field examinations, providing an average accuracy of 98%. Researchers conducted 11 studies involving the reliability of independent analyses of 1,609 sets of charts from field examinations confirmed by independent evidence, providing an average accuracy of 92%. Researchers conducted 41 studies involving the accuracy of 1,787 laboratory simulations of polygraph examinations, producing an average accuracy of 80%. Researchers conducted 16 studies involving the reliability of independent analyses of 810 sets of charts from laboratory simulations producing an average accuracy of 81%. The validity of the polygraph examination depends basically on agreements between prosecution and defense or by rulement of judges. Polygraph results (or psychophysiological detection of deception examinations) are admissible in some federal circuits and some states. More often, such evidence is admissible where the parties have agreed to their admissibility before the examination is given, under terms of a stipulation. Some jurisdictions have absolute bans on admissibility of polygraph results as evidence and even the suggestion that a polygraph examination is involved is sufficient to cause a retrial. Some circuits already have specific rules for admissibility, such as the 11th Circuit which specifies what must be done for polygraph results to be admitted over objection, or under stipulation, [United States v. Piccinonna 885 F.2d 1529 (11th Cir. 1989).] Other circuits have left the decision to the discretion of the trial judge. The rules that states and federal circuits generally follow in stipulated admissibility were established in [State v. Valdez, 371 P.2d 894 (Arizona, 1962).] The rules followed when polygraph results are admitted over objection of opposing counsel usually cite [State v. Dorsey, 539 P.2d 204 (New Mexico, 1975).] 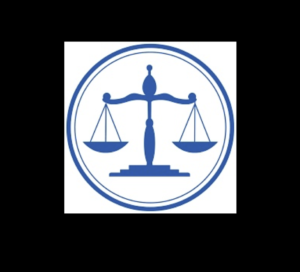 Primarily because of Daubert, as well as the impact the other cited cases have had, polygraph examination admissibility is changing in many states. Many appeals, based on the exclusion of polygraph evidence at trial are now under review by appellate courts. Clements v. State, 474 So.2d 695 (1984). Green v. Am. Cast Iron, 464 so.2d 294 (1984). State v. Valdez, 91 Ariz.. 274, 371, P.2d 894 (1962). State v. Molina, 117 Ariz. 4541 573 P.2d 528 (App.1977). Hays v. State, 767 S.W.2d 525 (1989). Robinson v. Wilson, 44 Cal.App.3d 92, 118 Cal.Rptr. 569 (1974). Williams v. State, 378 A.2nd 117 (1977). State v. Chambers, 240 Ga. 76, 239 SE.2d 324 (1977). Miller v. State, 380 S.E.2d 690 (1989). State v. Fain, 774 P.2d 252 (1989). Barnes v. State, 537 N.E.2d 489 (1989). Davidson v. State, 558 N.E.2d 1077 (1990). State v. McNamara, 104 N.W.2d 568 (1960). Haldeman v. Total Petroleum, 376 N.W.2d 98 (1985). State v. Roach, 570P.2d 1082 (1978). Corbett v. State, 584 P.2d 704 (1978). State v. McDavitt, 297 A.2d 849 (1972). State v. McMahon 524 A.2d 1348 (1986). State v. Dorsey, 539 P.2ed 204 (1975). State v. Newman, 409 N.W.2d 79 (1987). Moss v. Nationwide, 493 N.E.2d 969 (1985). State v. Souel, 372 N.E.2d 1318 (1978). State v. Jenkins, 523 P.2d 1232 (1974). State v. Rebetevano, 681 P.2d 1265 (1984). State v. Grigsby, 647 P.2d 6 (1982). Cullin v. State, 565 P.2d 445 (1977).